U.S. President Donald Trump Monday congratulated his Turkish counterpart Recep Tayyip Erdogan in a phone call for the Yes win in the weekend referendum. 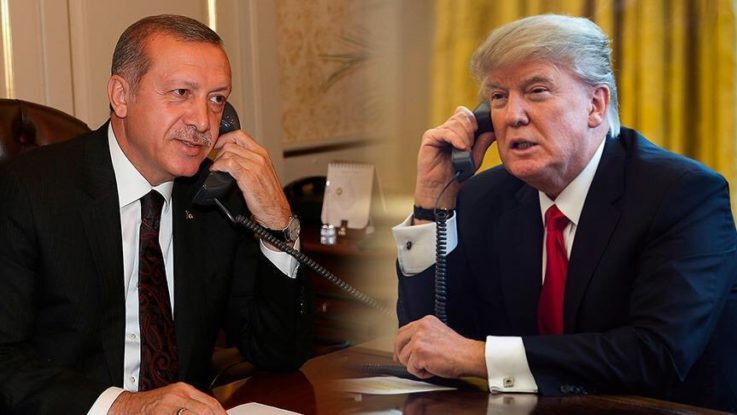 According to Turkish presidential sources, Trump telephoned Erdogan to laud Sunday’s historic victory. A written statement on the interview is expected to be issued soon, the sources added. On Sunday, a majority of Turkish voters cast ballots in favor of 18 constitutional amendments that will, among other things, see Turkey switch from a parliamentary to a presidential system of governance. According to unofficial results, the Yes campaign won with 51.41 percent, while the No votes stood at 48.59 percent. Voter turnout was 85.46 percent.